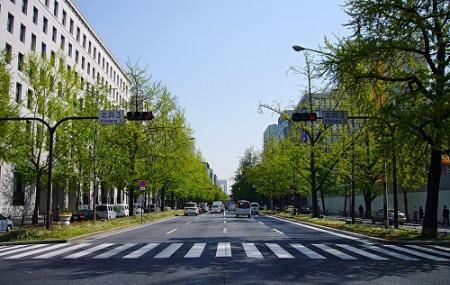 Midosuji Street is Osaka's main road stretching approximately 4 kilometres. It was opened in the year 1937. With around 800 ginkgo trees and quaint buildings, a walk down the Midosuji Street is a visually pleasing one. Recently, around 29 sculptures by well-known Japanese and overseas artists were installed along the street. These sculptures include works by Henry Moore, August Rodin and Kotaro Takamura. Every year in October the avenue hosts the Midosuji Parade. Food stalls and restaurants along the way. Love this? Explore the entire list of places to visit in Osaka before you plan your trip. Fancy a good night's sleep after a tiring day? Check out where to stay in Osaka and book an accommodation of your choice. How popular is Midosuji Sculpture Street? People normally club together Sennichimae Doguyasuji Shopping Street and Tenjimbashi-suji Shopping Street while planning their visit to Midosuji Sculpture Street.